IET is a powerful means to clear blockages that have been stored in the body, releasing suppressed and stuck emotions, which leads to stress reduction and enhancement of overall quality of life and healing at all levels. You will learn 9 integration points on the body, each of which is identified as storing specific suppressed emotions such as fear, anger, resentment, & guilt. and these are targeted for quick release. A full treatment is performed on a fully clothed person and lasts about one hour, leaving the client in a peaceful, relaxed state that often results in an ongoing healing process. One also learns a 10-minute self empowerment process. Discounts: Early (paid 2 weeks in advance), FT Student (with ID), Group (2+ people from one family/group). Above discounts: $20/day. Senior Citizen Discount (65+): 40% off. 10% off if registering and paying for all 3 days at once. In this group, we used a process of making Personal Divine Connections utilizing spiritual/energetic means to manifest our dreams: abundance, friendships, partners, right livelihood, a summer home, a new office, whatever your heart envisions. . . .
Our first event was a morning envisioning event in which we created a vision board for what we would like to manifest in the new year. Our second event was our first monthly meeting to begin the process of anchoring and working with our own visions and holding each others’ visions. Group members participated in energetic activities and exercises in the group and between sessions, engaged in focused meditations during group (and outside group), and engaged in fun, powerful activities suggested by our Guides. At these retreats, We birthed ourselves from sacred spaces and moved through an unfolding spiral of experiential and group sharing of nature-based activities, supported by moments of quiet individual contemplation as well as recording of our journey through journaling &/or drawing. We focused on cultivating states of radical presence – becoming exquisitely present to the signs and messages being offered to us by the natural world – as well as ways of interpreting that Guidance. We explored ways to easily incorporate these new practices and ways-of-being into daily, lived life, so they became practical and welcome tools that support our continued thriving. Who should come to a Divine Connection through Radical Presence Retreat? Anyone who is feeling indecisive, overwhelmed, like life is chaotic. Anyone who is seeking to cultivate life practices that produce deeper connection and clear, ongoing Divine Guidance. Anyone who feels drawn to nature and is seeking practices that offer a conscious and co-creative relationship with the Earth. Anyone who would like to live their lives in alignment with the Divine Guidance that is available to us all when we understand how to be present to it. Hone your ability to get direct messages from Spirit at any time, in any place, through developing a practice of radical presence. Use that deep connection for daily guidance in personal, spiritual and/or work aspects of your life. Figure out the primary channel through which Spirit currently Guides you: do you hear words, see images, intuit, feel sensations in your body. . . . . ? Make clear choices that are in alignment with your personal integrity and your soul’s purpose. Discover that a conscious relationship with Gaia (the natural world) gives you firm ground to stand on, the compassionate heart of the earth to rest in, and the felt sense that you are never alone nor isolated. Together with Rev. Siobhan Comisky, Rev. Teresa Glatthorn presented a day-long workshop on the Divine Feminine as experienced in a number of faiths, including Christianity, Judaism, Buddhism, Celtic Earth-based traditions, Hinduism, pagan traditions and others. This workshop was offered through the School of Sacred Ministries on Saturday, June 18th , 9:45 am – 4 pm at The Art of Communicating in Willow Grove. Come and experience a Personal Divine Connection with the feminine aspects of the Divine in a variety of Her forms. Be Pampered While You Share Your Gifts & Network! Several people came and shared their healing gifts, practiced their energy healing skills, and received a healing session (or 2) in a new or familiar form in exchange. This is also a wonderful opportunity to network with other healers and learn about and experience a variety of healing techniques. 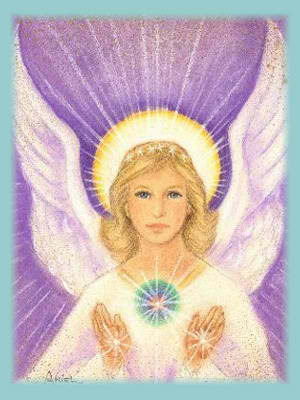 Many of us experience a Personal Divine Connection while giving and/or receiving healing sessions. At one Energy Exchange, we had practitioners sharing Psych-K, Donna Eden’s Energy Healing, spiritual healing, chiropractic adjustment, Acupressure, Cranial Sacral therapy, Reiki, IET, massage, and other interesting exchanges! Everyone left the exchange with a lovely, healthy glow, having experienced just the healing they requested and eager to attend again. What gifts will be shared at this next one? What healing do you need?